Mailbag: What Does the Future Hold for Nebraska Football? 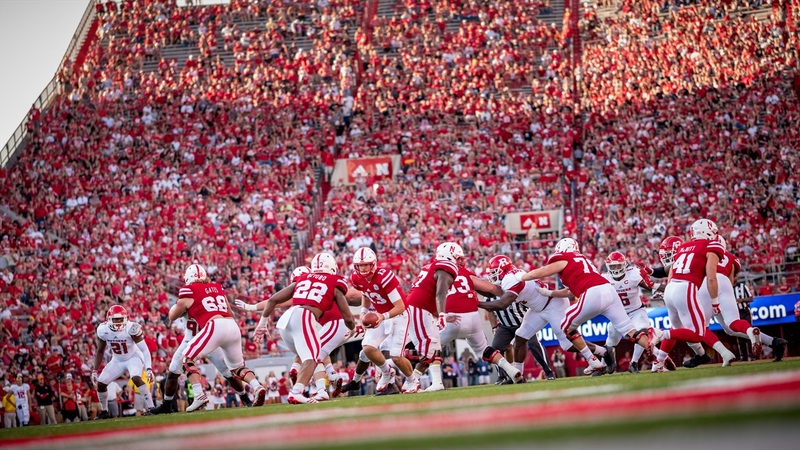 You asked questions about the Huskers as they get ready to take on Illinois. Brandon Vogel, Greg Smith, Jacob Padilla and Derek Peterson took a shot at answering them. DP: Mark is pretty solid. He's got some moves he can bust out when the time is right. I've seen him with guys before practice starts. Just one big ball of energy. GS: I’m going to go with Mark here but I’d like to see this spread throughout the strength staff. Own it! DP: They didn't work. Talking with line coach Mike Cavanaugh this week, he said they ran the same power run play 31 times and that's something he's never done before. It kept working so they just kept going back to it. That's probably not going to be the case every game but they might have found some stuff with Michael Decker at center. GS: I’ll say it a slightly different way than Derek: they weren’t effective. Nebraska has struggled for years to run power with consistency. Hopefully they are finding the right mix up front to lead the way because the running backs are doing their part. DP: True. Crop-top football jerseys are the greatest thing to ever happen to the sport and obviously improves a player’s ability. We know Nick Gates would do that in a heartbeat. JP: As far as I can tell, the last Friday game that wasn’t a bowl game or the day after Thanksgiving was a 41-13 win at Oklahoma State in 1971. JP: It would take way more effort than I’m willing to exert to pick out how many true freshmen have played for each of the Big Ten West teams over the last two years, but I at least did look up how many freshman (true or redshirt) have recorded a stat through four weeks. Here are the results: Illinois 19, Northwestern 17, Wisconsin 13, Nebraska 9, Purdue 9, Iowa 8, Minnesota 3. This obviously includes redshirt freshmen as well and it doesn’t include offensive linemen who don’t record stats, but it does give you a snapshot. DP: I see two reasons for this. First, Riley has started poorly twice. For all of Bo’s problems, a slow-starting season wasn't one of them. Second, the loss to Northern Illinois at home did a lot of damage to his standing. I think it’s also important to note that if another coach were to come in and replace Riley, he would have an even shorter leash to work with from a perception standpoint simply because the last conference championship, last nationally relevant season is becoming more and more in the past and people are growing restless. GS: I have wondered this myself but I suppose it’s the blowout losses last year mixed with Riley still not winning over a portion of the fan base that don’t want to see passing here. Patience is surely needed and I think it’ll become more en vogue around here to call for it. GS: Yes, but I have no idea on the destination. BV: Though I’m not totally sure how they’ll get there, I do think Nebraska will find a way to get four more wins. I’ve seen some predictions for the Armed Forces or Heart of Dallas Bowls (both DFW). At 6-6, the Quick Lane Bowl is probably in play (Detroit). The next step up, the Pinstripe Bowl, seems unlikely for a 6-6 team, but the Big Ten no longer uses a traditional pecking order. Also in play, early projections are that the bowls might need 5-7 teams again this season. GS: Bob Diaco is the easiest answer here right? I think he’s got this defense on the path to being one that Husker Nation is truly proud of. BV: It’s probably Diaco, but I’d also give John Parrella a long look. The Huskers’ defensive line is outplaying its talent level in my opinion, and that’s always a sign of good coaching. JP: I think every one of the new coaches has been an upgrade in one way or another. Another mark in Diaco’s favor is Caleb Lightbourn’s improvement (Nebraska has jumped almost 50 spots nationally and has improved by nearly four yards per punt). Drew Brown has increased his touchback percentage on kickoffs significantly as well. I’ll give a shout-out to Scott Booker here also as he has had to deal with hit after hit to his position group. Factor in JoJo Domann, who likely would have been a second-stringer alongside Antonio Reed, and Nebraska has already gotten down to the sixth safety on its depth chart with Marquel Dismuke and Kieron Williams getting into the game, yet the next safety up has held his own. Nebraska special teams seem to be solid as well as I can’t really think of any total busts other than the punt return in the season-opener. DP: The defense keeps growing, the offense commits to running the ball often and throwing when necessary and Riley finds a way to get this thing turned around to the tune of a seven or eight-win season. Optimistic? Sure, but we’ve seen teams do it before and Nebraska has what it needs to be competitive. I think the permanent athletic director will be a hire that looks much different from the Rimington one. Nebraska needs to go national and find the absolute best guy for the job, regardless of his ties to the university, and they seem to know that. The new guy keeps Riley on for another year but not Cavanaugh. GS: Just my prediction but a non-Nebraskan gets the AD job, Mike Riley stays but replaces one assistant. Many prominent head coaches have completely re-tooled their staff on the fly like Riley has had to do. BV: I think Riley remains Nebraska’s coach in 2018, too. The AD search, as we know, will be national and I think the job will go to a proven commodity. "What Changed? ‘What Do You Think?’"
JP: "Return of the Mark" with “Bo, Bo come on, oh yeah” as a sub-head.